Relax manufactures a Riesling and a red wine. Riesling wines come from white grapes, while red wines come from red grapes. Despite the differences in tastes among wines, they all contain about the same nutrition. Relax Riesling wine has about 120 calories in a 5-ounce serving. Relax red has about 125 calories in a 5-ounce glass. 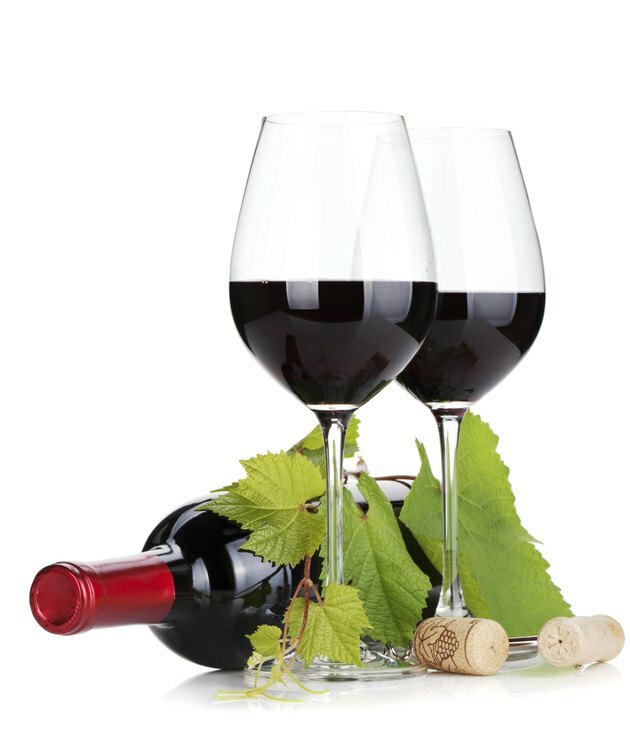 Most of the calories from wines come from carbohydrates. Relax red wine has about 4 g of carbohydrates per 5-ounce serving, while the Riesling has about 5.5 g.
The calories in wine do not come from fat. Neither red nor Riesling contain any fat. Even a cup of grapes contains less than 1 g of fat. However, while a small portion of alcohol converts to fat in your body, most of the alcohol converts to acetate in your liver. Acetate replaces fat as a source of fuel for your body, so the calories in Relax wines, and other alcoholic beverages, decrease your ability to burn fat, contributing to weight gain.